A beautiful review of The Historian’s Daughter by the lovely Lisa Hill from ANZ lit lovers blog. 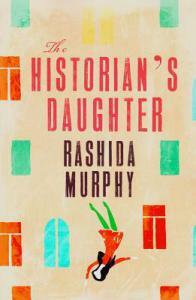 Rashida Murphy is another writer to add to my recent Authors from Western Australia post, and her debut novel, The Historian’s Daughter, comes recommended to me by one of my favourite authors, Amanda Curtin. It’s an impressive debut. More than a quest for identity, it is a vivid portrait of extended family life in India, and an homage to the freedom of life in Australia which allows for different kinds of family to emerge. Thanks Kim. It is really lovely to have this.